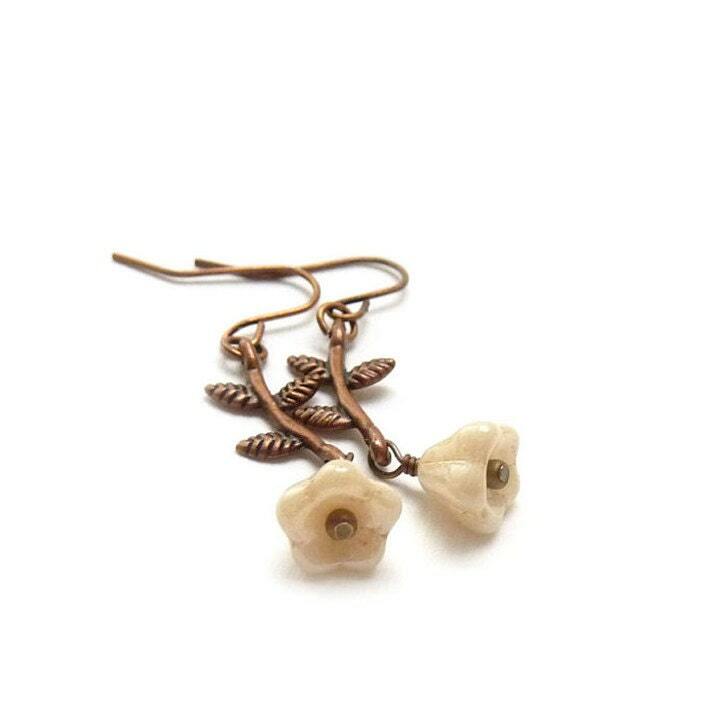 Sweet and petite botanical earrings made with antiqued copper leaves with small ivory glass flowers wire-wrapped to the ends. They're so dainty and pretty. They're small and light enough to wear while working out. Perfect accessory for every day.